Today my Office 365 account is behaving strangely. 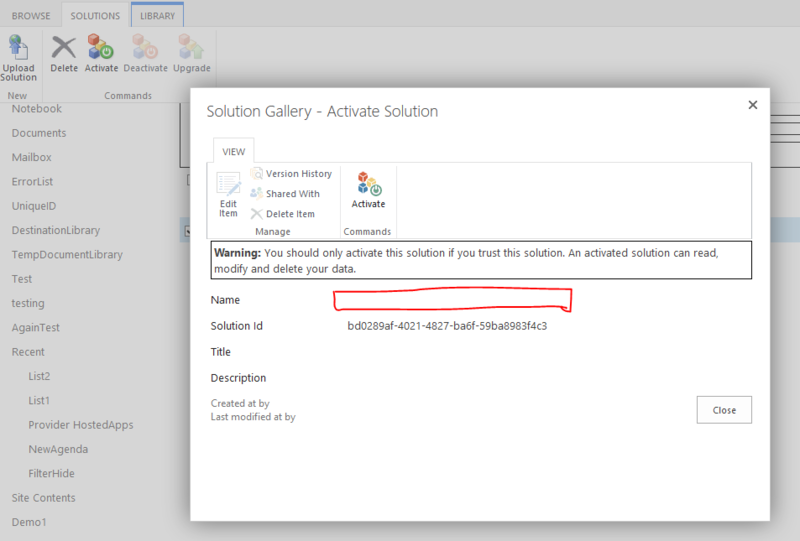 Yesterday I was able to activate my wsp solution using activate button from the ribbon in solutions gallery. When I click activate button, nothing happens. Note: My user has full rights and it is site collection administrator. Current Status: We're continuing to perform a detailed analysis of the issue to determine the next steps. User Impact: Users may be unable to activate or use SharePoint Online Sandbox Solutions. This may include event receivers, workflows, web parts, feature receivers, and InfoPath forms. Scope of Impact: A few customers have reported this issue, and our monitoring indicates that any user attempting to activate or use this feature will be affected. Upon further updates, it appears this is intentional and they are finally making good on their statement from 2014. http://ow.ly/zeMz302MKN1. Code in sandboxed solution has been depricated by Microsoft in SharePoint Online for some time now, see Deprication of custom code in sandboxed solutions. So that is the most possible reason for what you are experiencing. What you should do is to convert your sandboxed solution to an add-in, most likely a provider-hosted add-in. 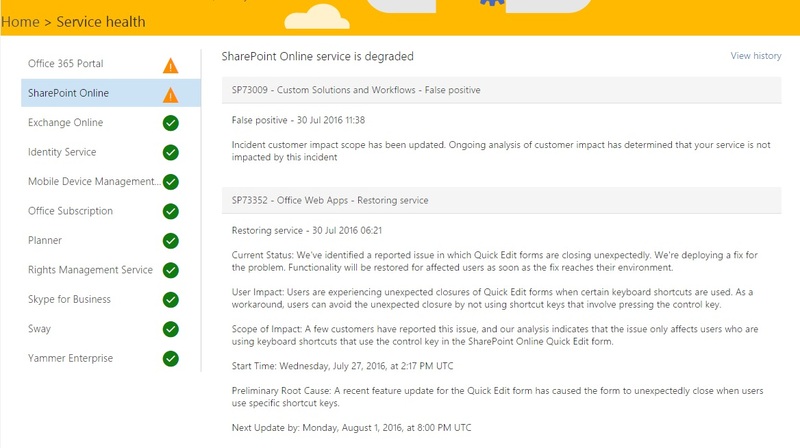 As per the Microsoft, as shown in the Admin > Service Health currently SharePoint Online service is degraded. Next Update from Microsoft will be on Monday, August 1, 2016, at 8:00 PM UTC. Not the answer you're looking for? Browse other questions tagged office-365 sandbox-solution or ask your own question. Do i have to use sandbox solutions for Sharepoint Online (Office 365)?